This is a jumbo straw - meaning that it is extra large around - but I think a regular paper straw would work just fine. I picked these up at Michaels. 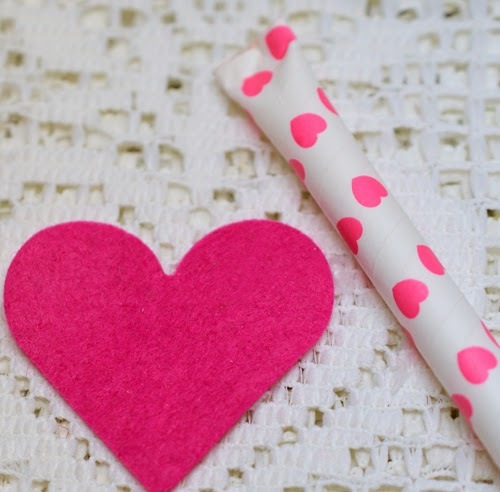 The smaller felt hearts that make the point of the arrow need a little support - 80 lb or 110 lb paper is best. 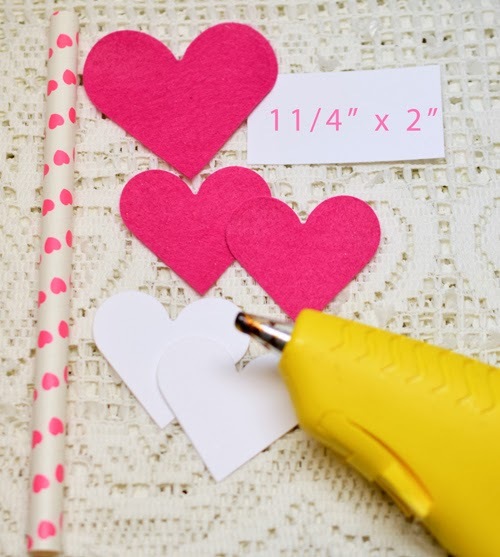 Glue the felt hearts to the cardstock hearts. The small white strip of paper will make the stopper on the top. Roll it tight and put it into the straw top, letting it unwind to fit. Take it out and wrap tape around it. The larger heart will make the arrow's feathers. 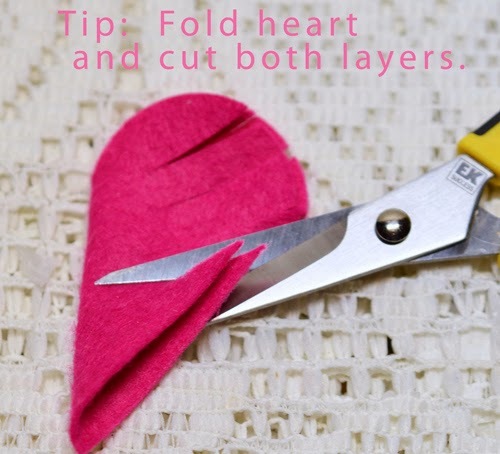 Fold the heart in half and cut both sides at once - that's a little trick I learned by trial and error. The sides aren't perfectly even, of course, but they look better than when I tried to do each side alone. Since this is a Cupid's CANDY arrow and not just Cupid's arrow, the arrow has to be closed at both ends. The bottom end is hot glued - just the edge - about 1/4". See how it's kind of smashed on the end? Hot glue one of the heart sets to the front of the straw and one on the back - line up the back heart with the front - it will look better that way! 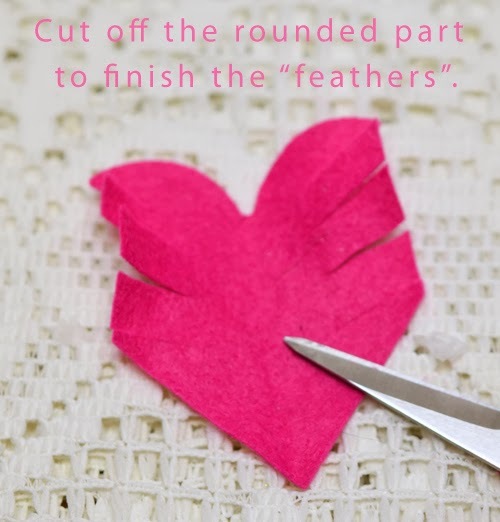 Glue the "feathers" onto the back of the straw a little bit down from the top. Fill with small candy. I thought Red Hots would be great - but the only Red Hots I could find are much larger than I remember them being. So, I went with Chiclets. They work great! Pop in the stopper and decorate. 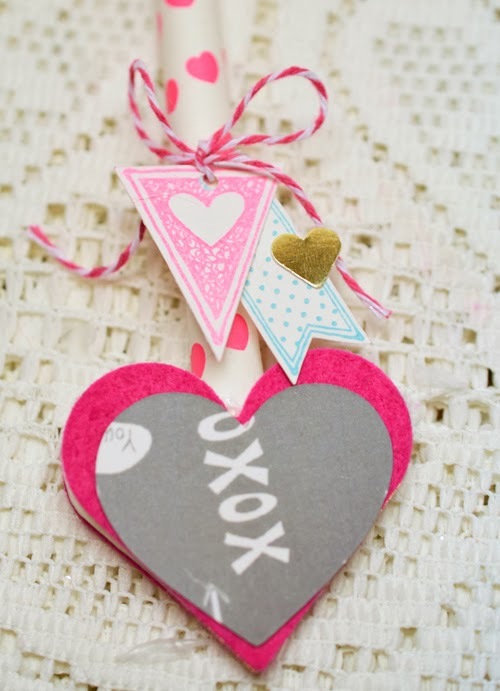 These cute flags are from the Stampin' Up set Language of Love. It also has some wonderful heart images. 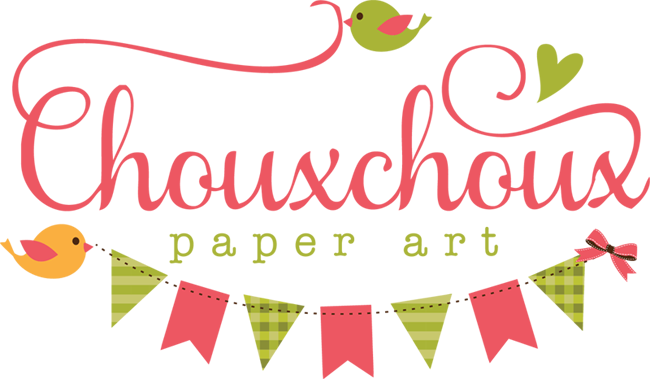 Starting January 28th, Stampin' Up has a great deal: For every purchase of $50 in Stampin' Up merchandise, you get to select a free item from a pretty awesome selection. (When you place your order, it will prompt you to add the free items.) Two of my favorites are the banner punch and Banner Blast stamps. 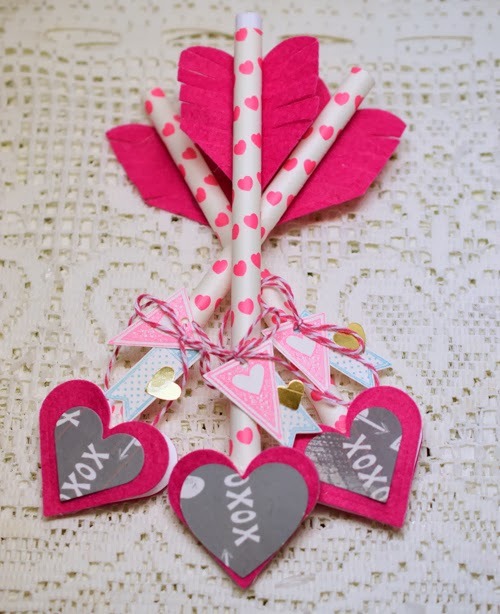 My special treat is this: The first 5 people who place a $50 order or more at my Stampin' Up site (beginning tomorrow January 28th - because I want you to get a free gift), will get a Cupid's Arrow Candy kit! 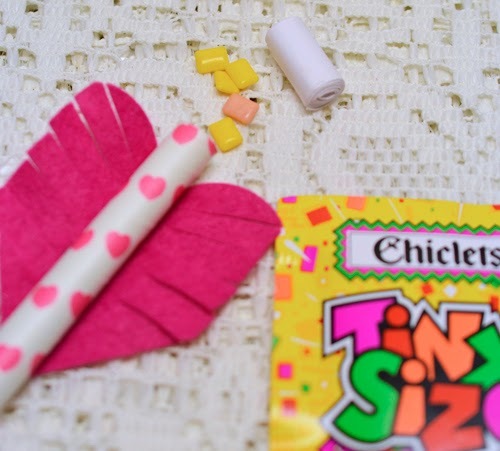 You get everything you need to make an arrow - I'll even include the chiclets! Love this! Such a great idea! I saw you on MIM. If I lived in the US I would definitely place an order. Hope you do well! Hugs! Oh Lori, these are the sweetest!! Lori, these are too cute! Thank you for sharing the instructions. What a fabulous idea Lori and thanks a ton for telling us how!!! Fab & Fun!! Love it! What a fun make Lori and TFS the 'how to'. Absolutely adorable! I saw your project on MIM. These arrows are SO cute!! Love how you made them! 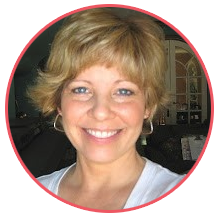 Saw you on MIM! 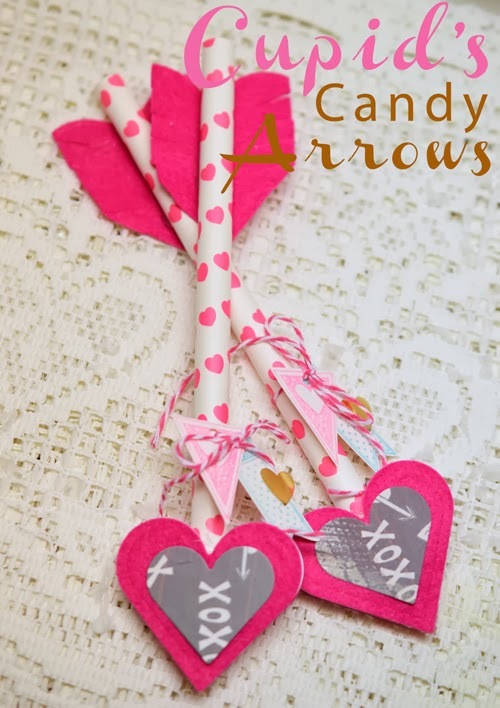 Oh my, your supercute little arrows will be gladly picked up by any cupid, they're so sweet!! These are so fabulous and I can see why they would be a great hit at your Spring show! Wonderful. Oh my how lovely! Saw you on MIM an had to visit! you always have the best ideas.. this is another fabulous project.. thanks for the inspiration..